XAMPP is available for multiple platforms, including Windows, Linux, Solaris and Mac OSX. First you will have to download the one for your needs, and install it. 2. Download the EXE file and then simple double click on it to start the installation. By default XAMPP is installed to C:\. Leave the destination folder as it is, and click ‘Install’. 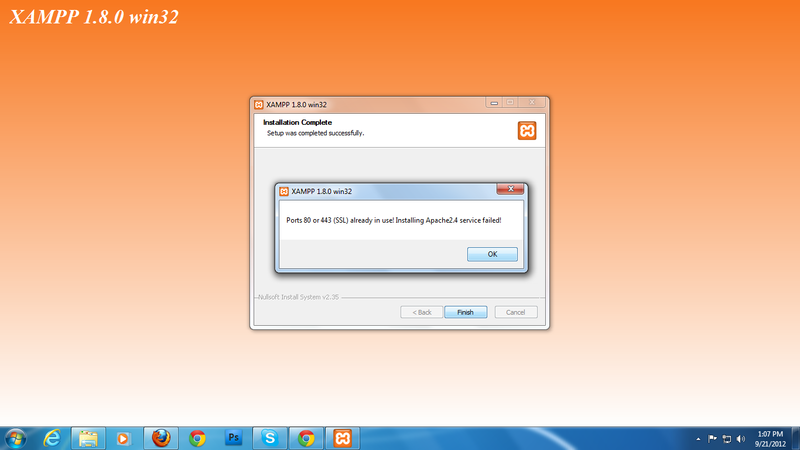 This will install XAMPP to a folder named ‘xampp’ in your root drive (C:). 3. It may take quite a while (~ 10 minutes) for XAMPP to extract the package. 4. After the contents are extracted, the set up script will run automatically. A series of questions are asked, the first one being ‘Should I add shortcuts to the startmenu/desktop?’. Enter y and hit Enter. 5. In the next step, you are asked to locate XAMPP paths correctly. Press y for ‘Should I proceed?’. 6. In the next step, you can choose to install portable version of XAMPP on a USB drive. However, you will not be able to use services with a portable installation. Enter n and and press Enter if you like to go ahead with the normal installation. 7. The setup will now relocate XAMPP to the correct path if required. 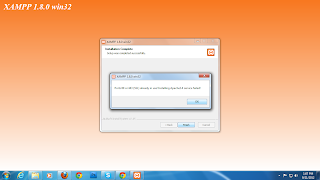 Once you see the ‘XAMPP is ready to use’ message, hit Enter to continue. 8. Next you will see a message informing the time zone that was set in php.ini file. Again hit Enter to continue. 9. In the last step of the installation, you are given various choices, amongst which the first one is to start the XAMPP control panel. Note that even if you exit the set up at this point by entering x, you can always start the XAMPP control panel either from Start Menu or desktop shortcut. For now, enter 1 and hit Enter to start XAMPP control panel. In XAMPP control panel, click on the Start button for both Apache and MySQL. In case Windows Firewall shows up a security alert, click ‘Allow Access’. Now you should the status as ‘Running’ for both. In order to confirm that a web server is currently running on your PC, open http://localhost in your browser. This should bring up the XAMPP splash screen. Click on a language of your choice to open XAMPP admin panel. If you want to check the status of the XAMPP installation, simply click on ‘Status’ in the left navigation. All the services that are currently activated on your local web server are shown. That’s it. You can now go ahead and install WordPress on XAMPP for your local WordPress theme testing and development activities. 1. Most likely it is Skype which must have blocked the port 80. If you are running skype, then you can easily change its ports. and uncheck the Use Port 80 and 443 option and close skype. Now again try to start Apache. you should be able to do it. 2. Go to your Windows Services (Start > Run > services.msc), see if there is a 'World Wide Publishing' service, right-click it to get the Properties, click 'Stop' if it is running, change it from 'Automatic' to 'Disabled', then click okay. why it is too much difficult to install xampp on linux? ?